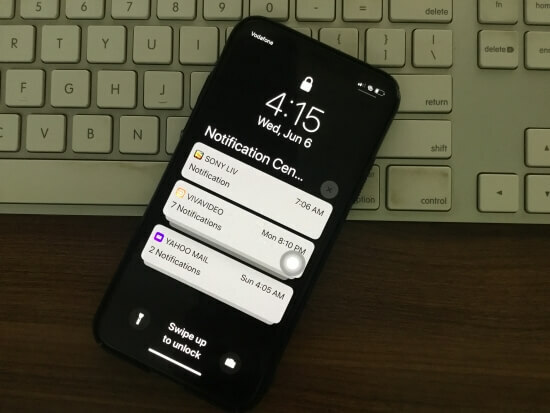 Let’s see some important settings and quick ways that help in manage Grouped notifications in iOS 12 running on your iPhone X, iPhone 8, iPhone 8 Plus, iPhone 7/7 Plus, iPhone 6, iPhone 5S. Step 2. Next, Tap on Notifications. Find the list of Apps, Change the notification Style and Type. Step 3. Tap on “App Name” > Scroll down to the last and Tap on “Notification Grouping”. Automatic: Default Option is this. Off: This option completely disabled or turn off Group notification. 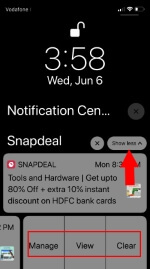 This option will show app notification as come to your iPhone. Step 1: Unlock your iPhone and iPad. Step 2: Swipe down finger from top right notch and see the notification. Or Wake up iPhone by lift up iPhone (iPhone X/8/8 Plus, iPhone 7/7 Plus/6S/6S Plus). Step 2: Tap on “(X)” button at the top and just below the digital clock. Step 1: Single Tap on the Grouped notification list. Step 2: Swipe finger left on Grouped notification to view or reply and manage option. Way 1: Swipe Left on Notification > Clear All. Way 2: Press and Hold on Screen, at the top of notification “(X)”. 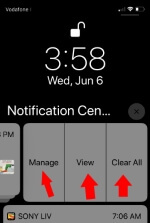 3D touch Device popup Notification view on front center of the screen. See more icon to get settings for Group Notifications. 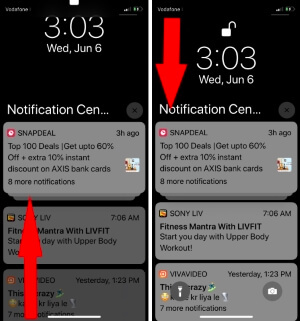 Deliver Quietly: Quietly Notifications will appear in notification center and badges the app icon, but will not appear on the lock screen, Present banners, or Pay a sound. 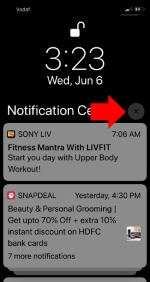 Deliver Prominently: Prominently notification will appear on the lock screen, in notification center, Present banners, Badge the app icon and play a sound. Settings: Directly jump to the app settings on iPhone. Scroll down and See “Notification Grouping”. 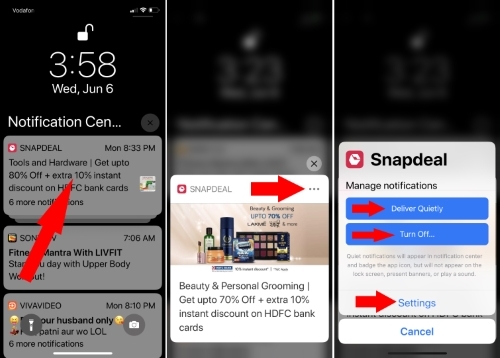 Like it and share it for more guidance and help to other for manage Grouped notifications in iOS 12 installed on iPhone, iPad and iPod Touch.